It was a busy Winter's afternoon down on the beach with a lot of car's using it for a 'Highway'.. some are just going fishing further up the beach but unfortunately a lot just using it for a skid pad which is a worry for the people that are down there for a quiet Sunday afternoon walk with the kids or dog.. also a lot of motorbikes .. but I must admit the tracks do add to this image and lead you along our wonderful West Coast Beach.. Tags winter, the, on, beach..
Super capture with the leading lines! What wonderful lines and composition. I agree, interesting leading lines and subject. 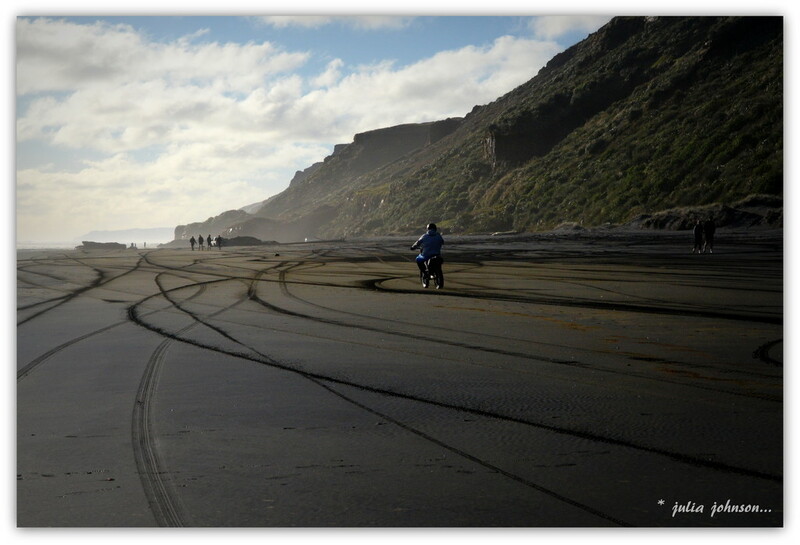 Great shot of the beach and tracks. 2: from the straw linen is made. so to expensive to use for animal food.